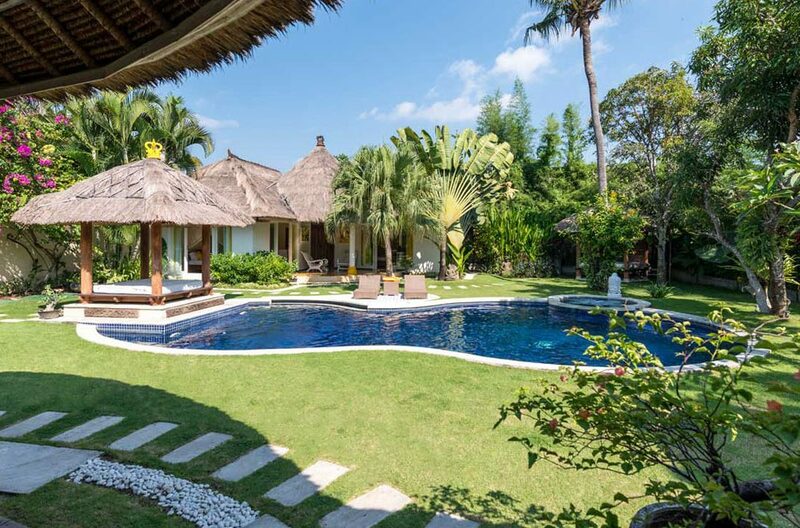 This traditional Balinese style villa is perfectly located in bustling Seminyak, boasting 5 bedrooms with a huge garden and large sparkling pool it’s perfect for large groups of friends and family. Whats more the beach is a mere 10 min stroll from the villa and cafe’s, restaurants, bars and all the shopping possibilities are in close proximity. 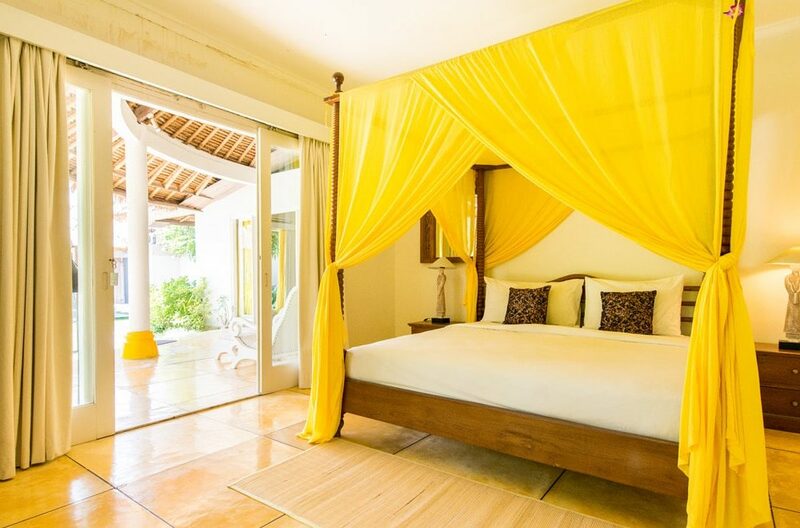 A well equipped kitchen, open-air and spacious lounge and dining area all offer views to the majestic garden, sprawling lawns and large swimming pool. 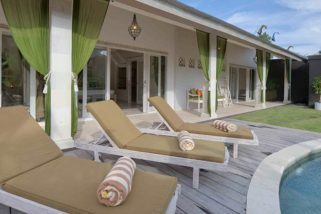 The outdoor ares are the highlight where soaking up the sun and having fun in the garden and around the pool will be the order of the day. 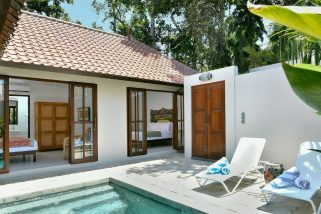 The villa is surrounded by lush tropical landscaped gardens, frangipani trees, palms and mango trees. 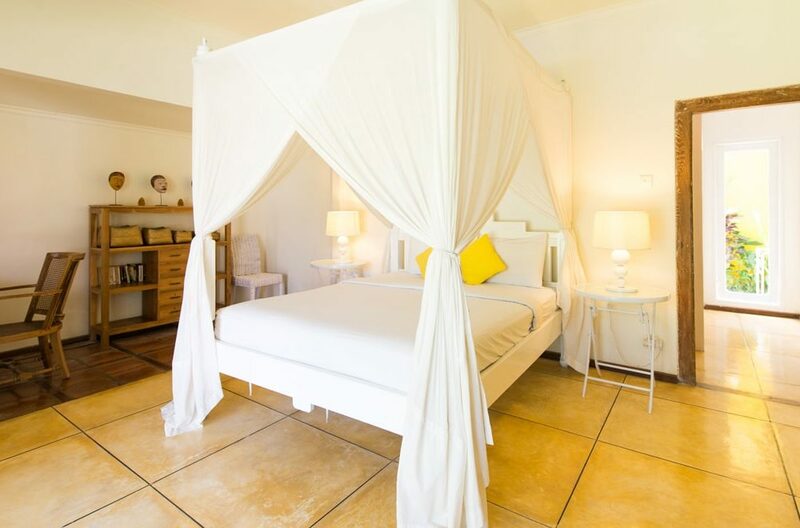 5 large bedrooms will easily accommodate 10 guests. 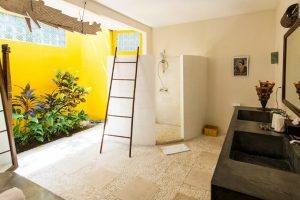 En-suite bathrooms and air-conditioning with semi indoor/outdoor bathrooms and other amenities will make for comfortable siestas. Villa staff pride themselves on delivering service that is warm and attentive. Housekeeping and villa maintenance are pleased to serve and maintain a well-run household providing support delivered with grace and tradition. Villa Casa Luca’s manager and team are more than happy to address any questions or inquiries guests may have in order to ensure your stay with us as smooth and enjoyable as possible. A short stroll from the shops, restaurants and popular cafes, with an abundance spas nearby which means you don’t have to venture too far for a relaxing Balinese massage. The famous Eat street is just a short stroll from the villa. Check-in starts at 2pm and check-out is at noon. 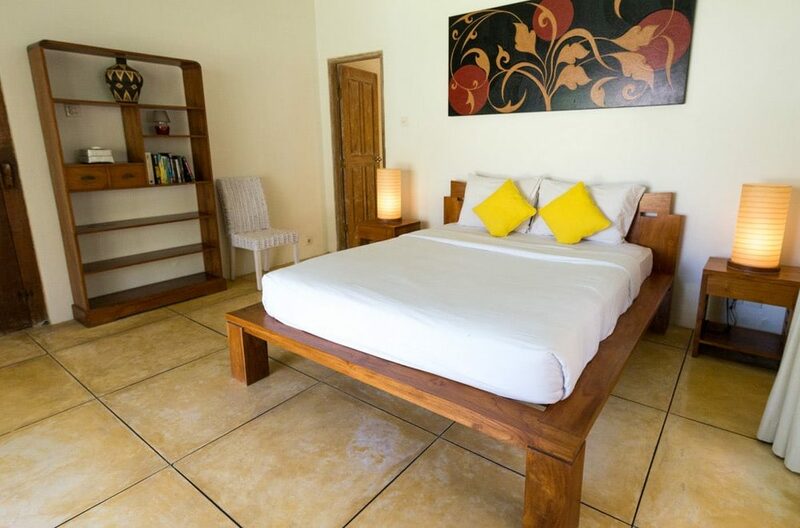 The prices are based on a maximum number of 10 persons. 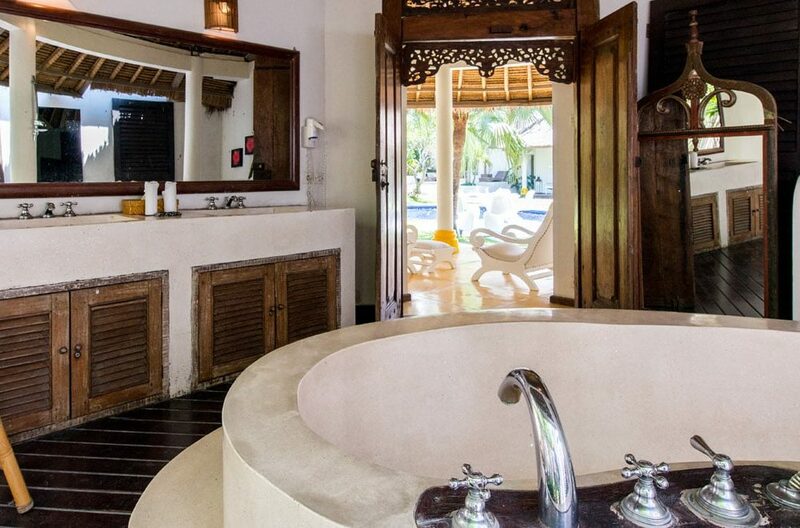 The villa owner’s approval must be obtained for any extra guests. 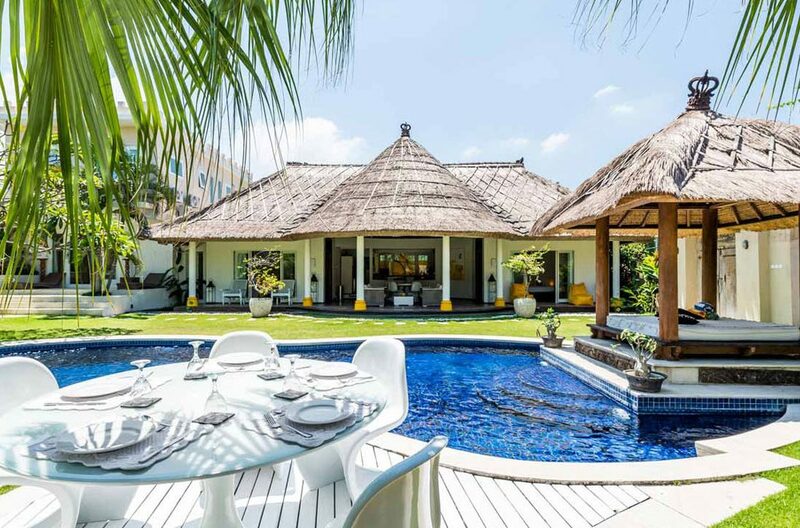 This 5 bedroom villa, situated perfectly in quiet lane in central Seminyak, is simply out of this world and has the unique flavour of contemporary living with high notes of tropical panache. 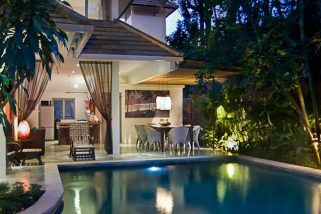 Tucked away in a quiet lane off the main streets of Seminyak, is Villa Atma, an idyllic 2 bedroom Seminyak holiday villa rental paradise you’ll never want to leave. 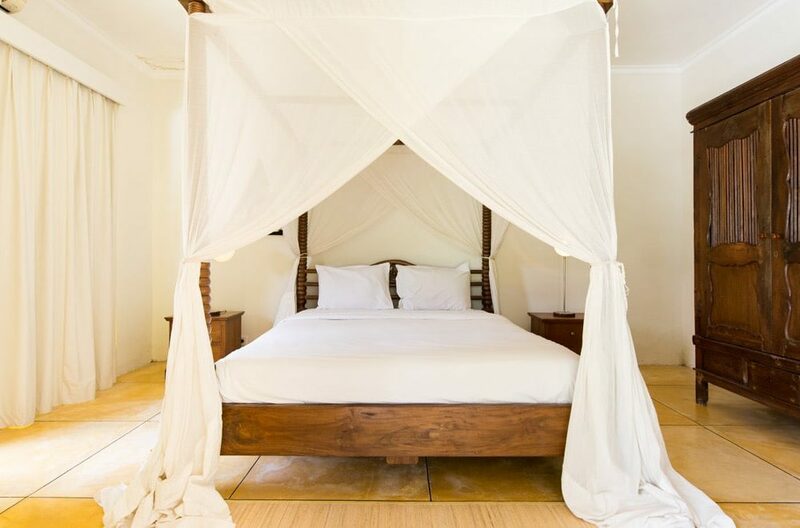 Villa Ananda is the epitome of simple elegance, combining beauty and value into an appealing package for your stay in Bali. 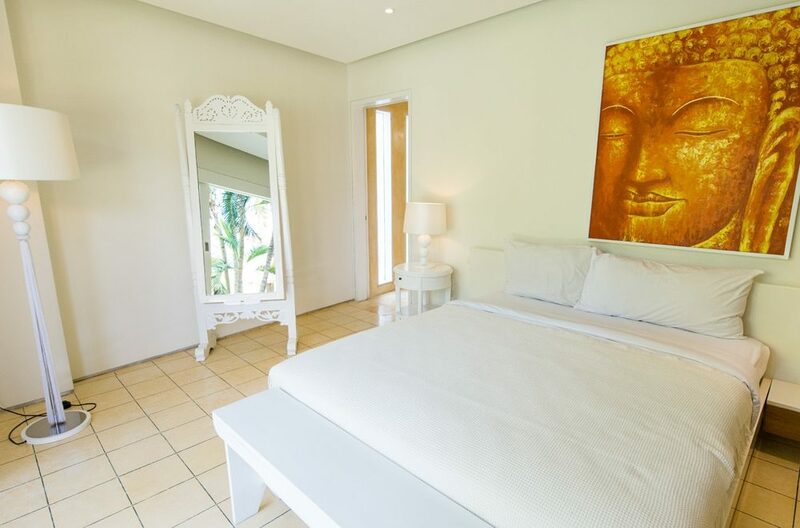 A clean, white, contemporary design with nods to Balinese heritage gives this villa a homey, casual air that will immediately put you at ease.